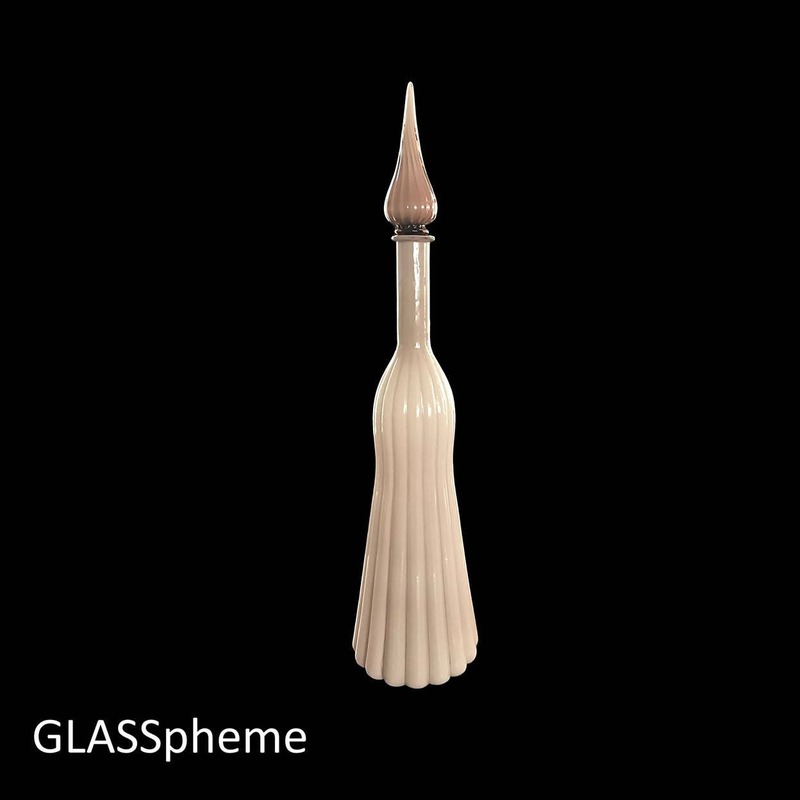 You're looking at a spectacular ribbed mid-century cased glass Empoli decanter in a very unusual pale purple/lavender. 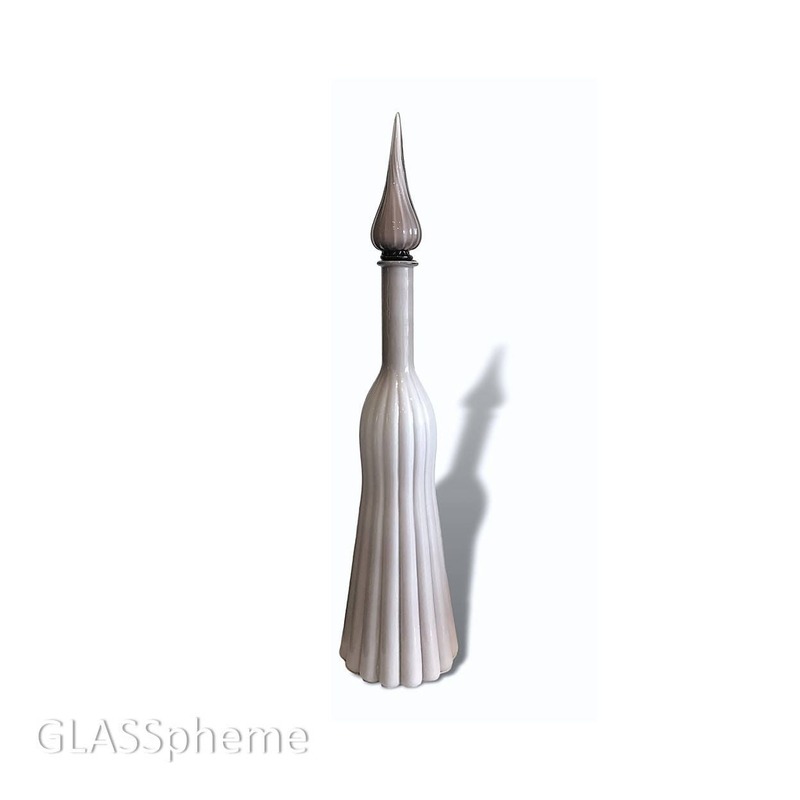 The tear drop stopper is similarly ribbed with a clear glass layer. This is a heavy, high quality pre-1970s piece that will take your breath away! Some light wear perhaps, but no damage whatsoever!